I’ve been called clever sometimes. Periodically witty. And when I was younger, I was handsome. 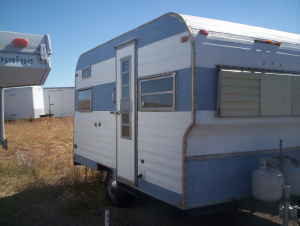 A travel trailer of unknown year or origin. You’re probably thinking: No way! This is a totally smart and reasonable thing to buy. Thanks for trying. But it’s going to be a lot of work and probably a lot of expense to get this thing in shape. Still, I’m excited and optimistic. I’m determined to enjoy this thing, whatever it is. We’re going to fix it up, go on short and medium-length trips, we’re going to bring the cats. And you know what? It’ll be fun. We don’t need to fix it up to showroom quality. I am not a perfectionist. In fact, I think perfectionism is a terrible quality, and it’s a mystery to me why people still put it in resumes and mention it in job interviews. At some point, whatever you’re doing is good enough or as good as it’s going to get, and it’s time to stop and move on. My standards for this thing are pretty low. I’d like to figure out what year it is. I’d also like to figure out what model it is. We briefly thought it might be a Red Dale, which would be awesome, but those hopes are dwindling. So there you have it. 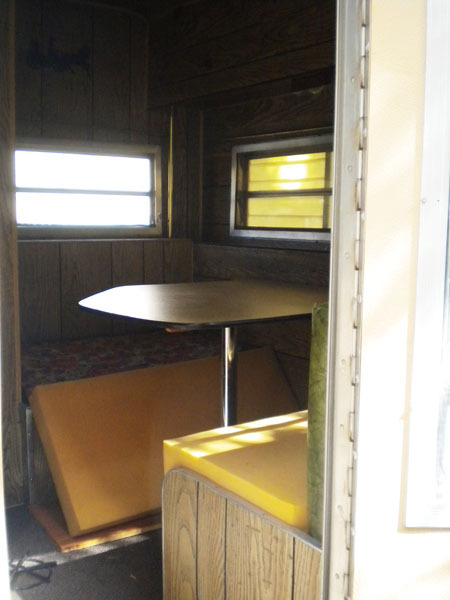 Please welcome a new category to the blog: Vintage travel trailer. Keep up with us on our “restoration” project. 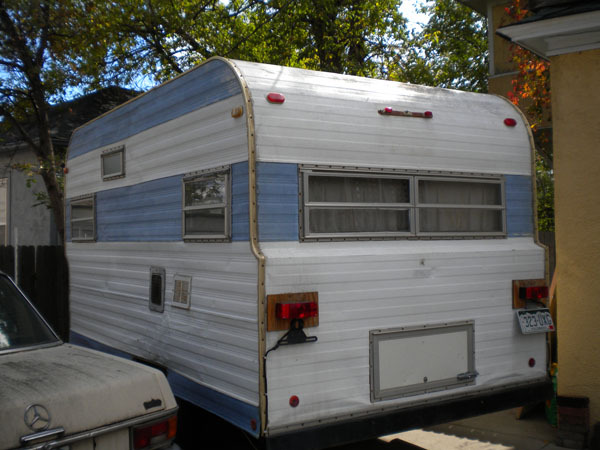 What kind of travel trailer is this? Good question. Whatever it is, it's our new "restoration" project. 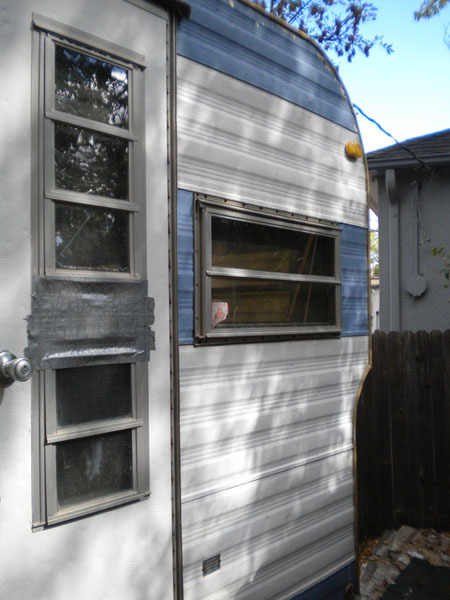 My grandmother used to fix everything with duct tape, so it will be with bittersweet memories that I actually just replace the glass in the door. 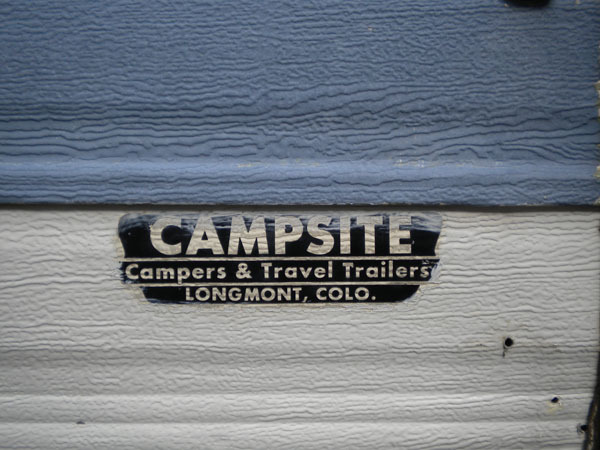 A sticker on the thing says: Campsite Campers & Travel Trailers, Longmont, Colorado. It's the only clue about this vehicle's origins. The dining table! Not sure why everything's on the floor. It doesn't look this bad inside. Really. The stove! 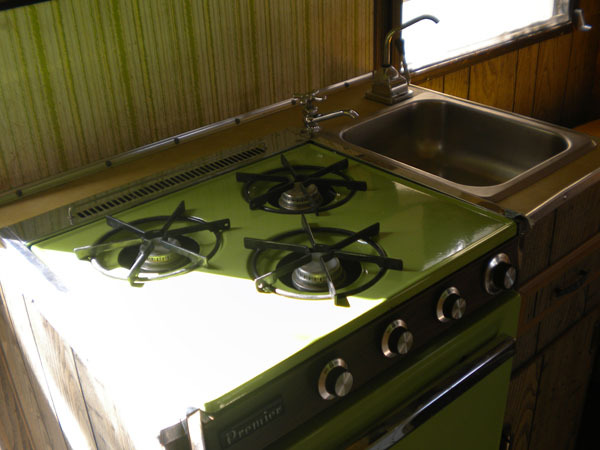 The green stove is what ultimately turned Adrienne into a fan of the vintage travel trailer. 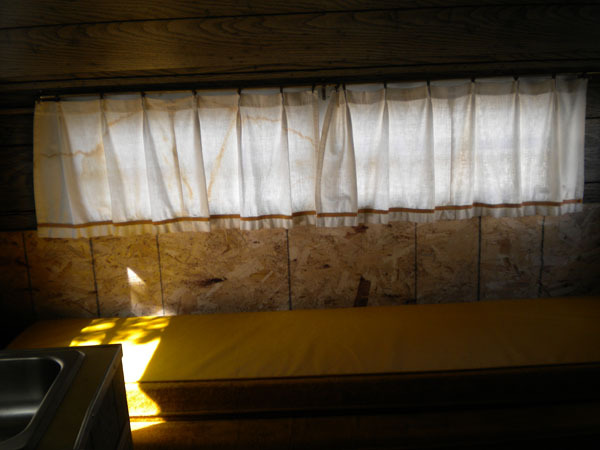 The back bed area will look great with just a little touching up. Maybe a lot of touching up.